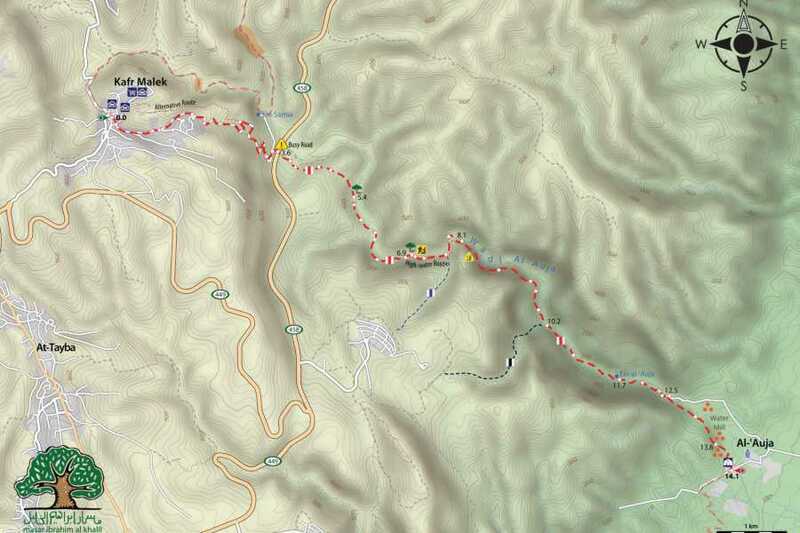 Begin by following a small road from Kafr Malek to Ein Samia Valley. The path drops down into Wadi al-’Auja, a deep, rugged wadi that runs from Ein Samia (Samia Spring) down to Ein al-’Auja in the Jordan Valley. 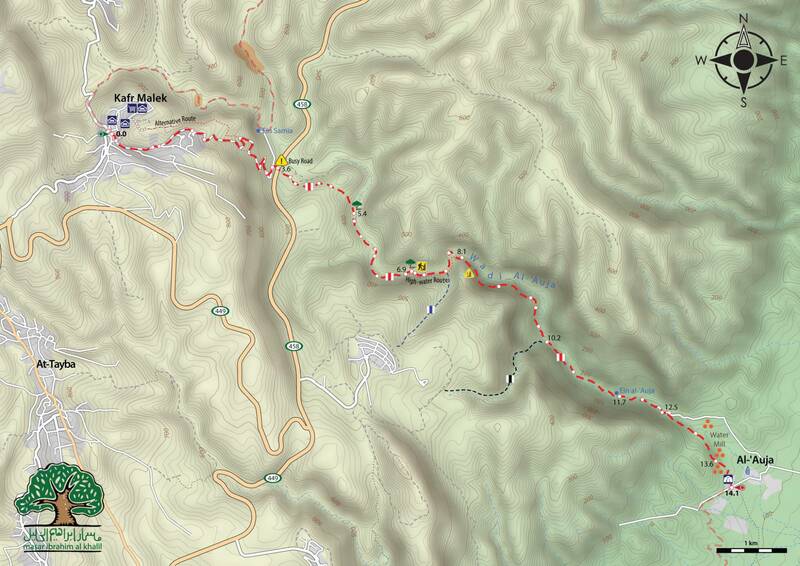 From Ein Al-’Auja, the trail follows ancient Roman aqueducts, used to divert water from Ein al-’Auja to Jericho, past the ruins of a Byzantine church and into the Al-’Auja Bedouin community. The second day begins in the broad plains of the Jordan Valley, where you will pass by the tents of the Bedouin community of Wadi al-’Auja. The trail enters Jericho, one of the oldest cities in the world. 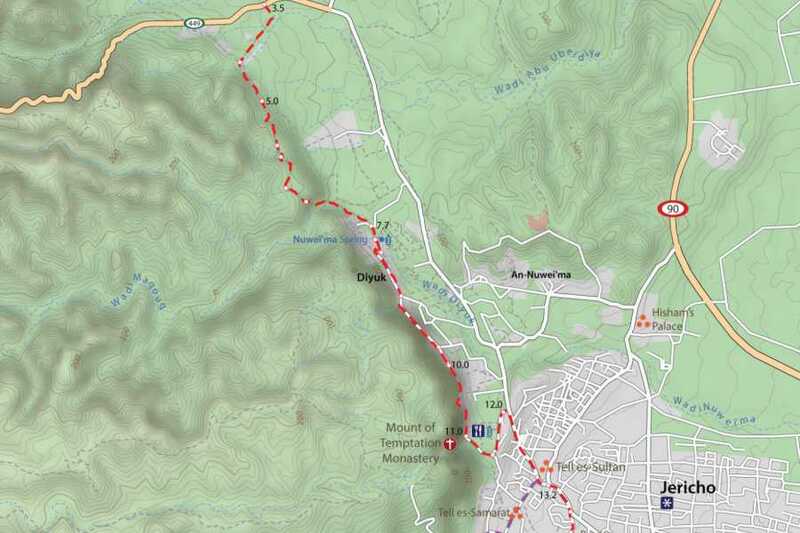 Its calm atmosphere and rich heritage provides a true oasis to all walkers. Visitors can enjoy a visit to the Mount of Temptation, Tell as-Sultan, and the winter palaces of Hisham and Herod the Great. 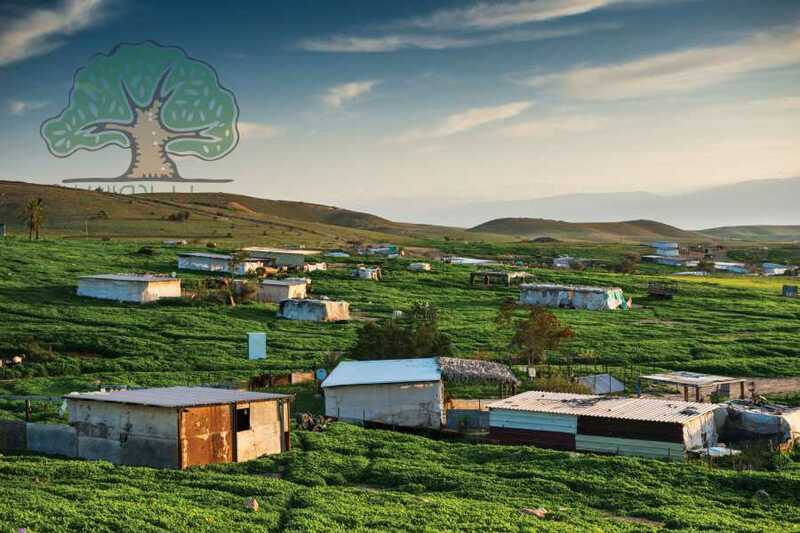 Nearby Jericho, members of the Aqbat Jaber Refugee Camp Women’s Center invite hikers for warm home-cooked meals and authentic overnight stays in their one-of-a-kind mudbrick guesthouse. 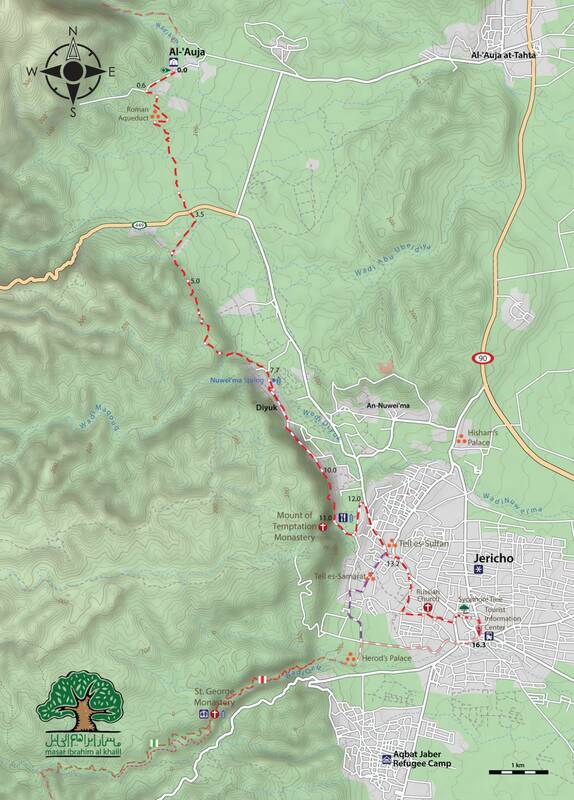 Hikers can also have their passports stamped at the guesthouse. 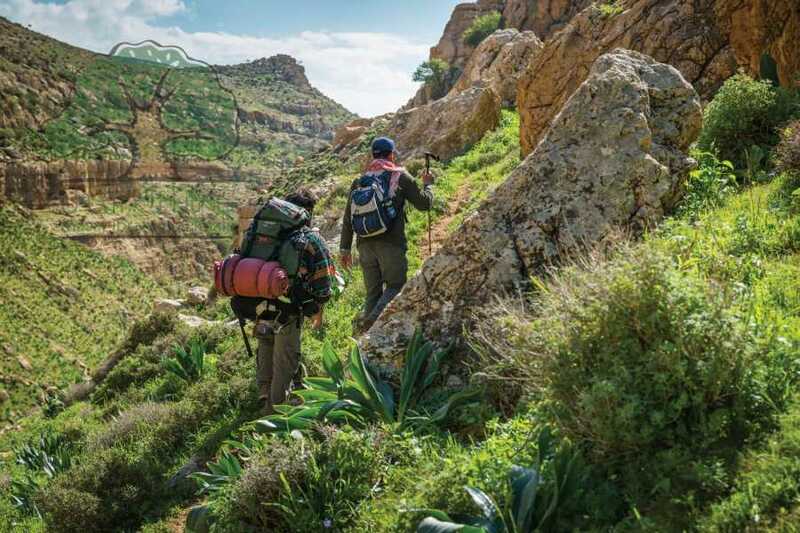 Throughout you journey on Masar Ibrahim you will experience the beauty of Palestine's wilderness: Palestine’s central position at the crossroads between Africa, Asia and Europe makes it a pathway for the biannual migration of over half a billion birds, making it a birdwatcher’s paradise. 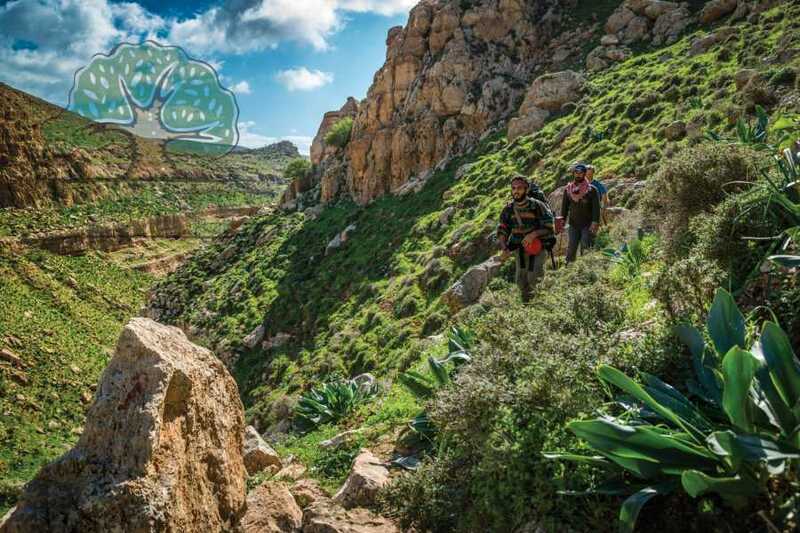 Begin your walk on a demanding yet rewarding path that winds through the Al-’Auja Valley, home to an impressive array of plant and animal life - look closely to spot a Mediterranean turtle. In Al-’Auja meet the Bedouin communities and learn about their habits and traditions. Sleep in a Bedouin tent and and enjoy the traditional, authentic hospitality of Palestine. The next morning, after a nutritious Bedouin breakfast, head towards Jericho - the lowest city in the world, and one of the oldest, which with its calm atmosphere and rich heritage provides a true oasis to all walkers. Visitors can enjoy a visit to the Mount of Temptation, Tell es-Sultan, and the winter palaces of Hisham and Herod the Great. Delicious Medjoul dates grown in the area are a necessity to try. 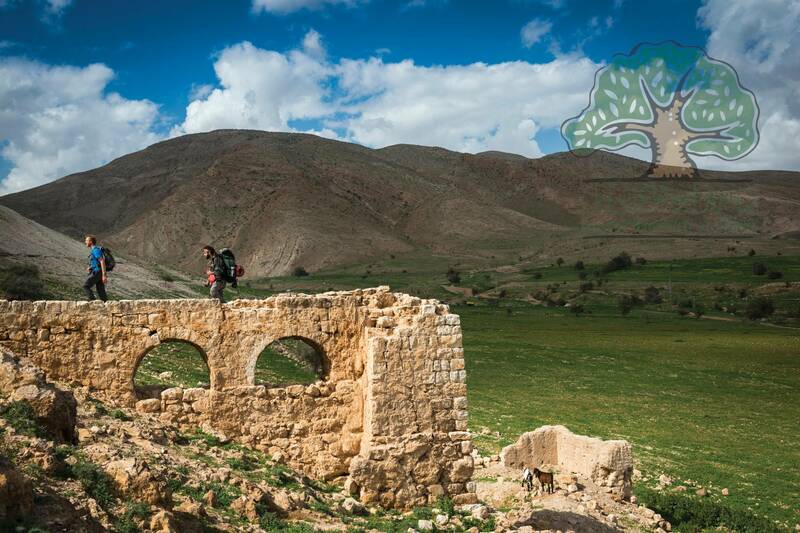 Near Jericho, members of the Aqbat Jaber Refugee Camp Women’s Center invite hikers for warm home-cooked meals and authentic overnight stays in their one of a kind mudbrick guesthouse. There, hikers can also stamp their passports.